There’s change in the way we are charitable these days. While the traditional methods of giving are still around, many charitable organizations and larger companies are providing ways to contribute/donate differently. Some do this by letting us purchase the products and services we would already buy while donating a percentage to the charity of our choice. Others create jobs and offer items for purchase directly; the contribution comes from the item itself. Amazon Smile is one of my favorite options, and I contribute regularly myself with my purchases to The A-21 Campaign. Once you have this set up with your Amazon account, you can start shopping the way you would normally, and the contributions are automatic! The A-21 Campaign is near and dear to my heart. 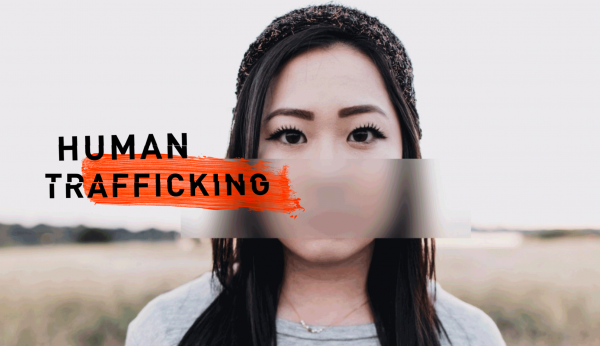 I am a huge advocate for the rescue and rehabilitation of human trafficking victims globally. This organization is focused on prevention as well as the restorative aftercare of victims to human trafficking. They have items for purchase on their website, and 100% of the purchase amount goes back into their program. You can purchase statement pieces or ones that are more subtle, depending on your comfort level – and of course, you can always donate directly. 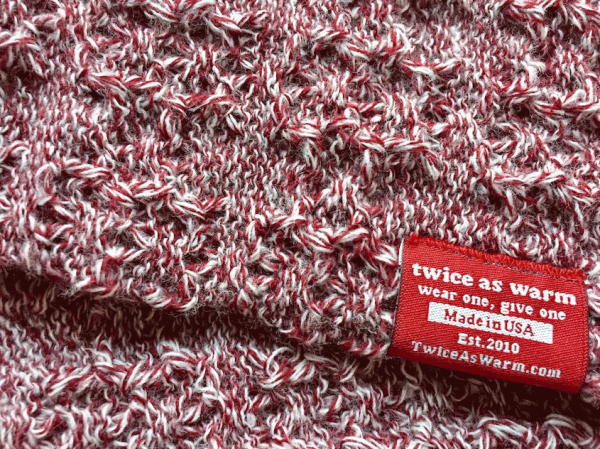 Twice as Warm: Provide new winter clothing to people in need. When you purchase any item on their site, one item is matched to someone who needs it. Yoobi has a similar message: “One for you, one for me.” Every Yoobi item purchased helps provide essential school supplies to classrooms in need across the U.S.
BOGO Bowl: You buy a bag of food, and a bag of food is donated to a pet in need. Charity:Water: You can purchase a well, specifically, or you can run a campaign to raise money for one already being built. 100% of your donation goes into operating costs to bring clean water to the people who don’t have access to it. There are also items in their store to purchase directly with the same 100% of proceeds going toward clean water. 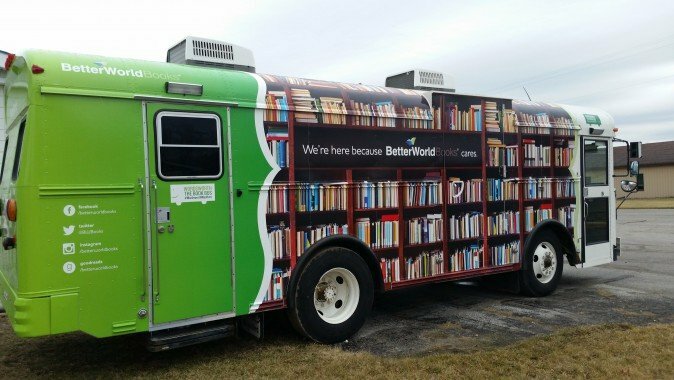 Better World Books: Every book purchased from Better World Books goes toward increasing individual literacy throughout the world, bringing with it the potential for a better life. You buy a book – they give a book to someone in need. Books donated as of September 2016: 21 million. Sudara: Every item purchased from Sudara has been made by a woman who has escaped from human trafficking. Their mission is to advocate for women by providing them with dignified employment opportunities. FIGS: Some healthcare providers all over the world have never owned a pair of scrubs. Clean scrubs reduce hospital-acquired infection rates by 66%.Through their threads for threads™ initiative, for every set of scrubs sold, FIGS gives a set to a healthcare provider in need. Sevenly is the world’s leading provider of “advocacy apparel and accessories.” They do this by running 7-day cause campaigns that invite customers to purchase items whose proceeds go to a designated charity. 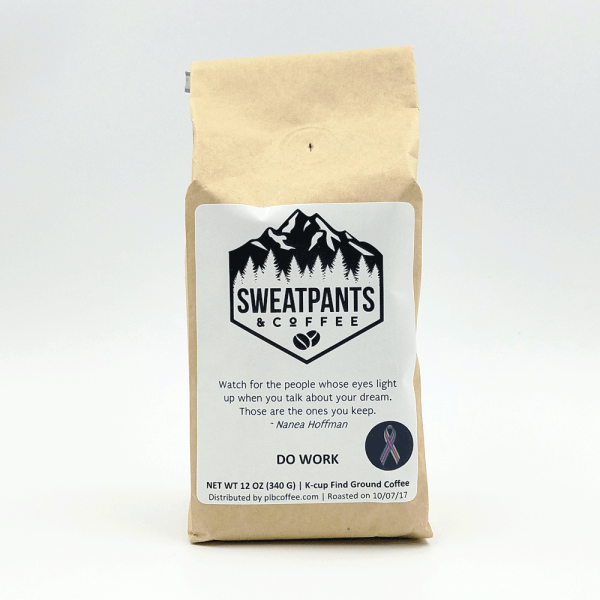 Sweatpants & Coffee Custom Roast: Every bag of our delicious coffee, which is roasted in small batches and sent out fresh from our partners at PLB Coffee, provides hope for Stage IV breast cancer patients. 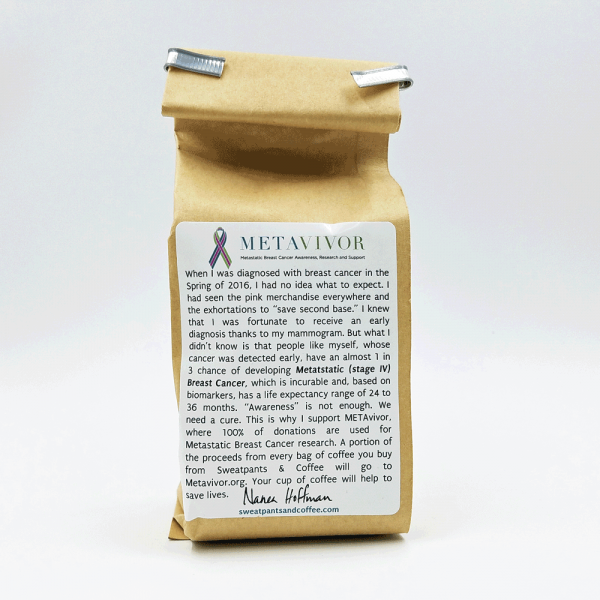 30% of proceeds from every bag is donated to METAvivor.org, a charity run by and for metastatic breast cancer patients. And 100% of all donations received by METAvivor goes toward cure research. Which is desperately needed. Plus, did we mention that it’s delicious? Even the decaf – the caffeine is removed using only water, no chemicals, and the beans are roasted so that they taste like coffee is supposed to taste. It’s the only decaf our founder, Nanea, will drink. Try some. You won’t be sorry! What role do we play in each other's lives?